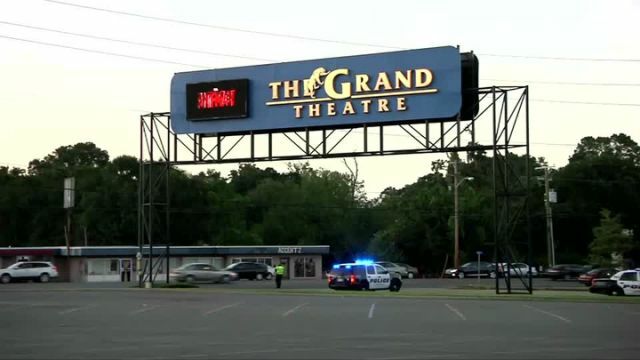 Two people were killed and nine wounded in a Lafayette, Louisiana movie theater on Thursday night. After the shooting, the gunman (identified as 59-year-old John Russell Houser from Phenix, Alabama) turned the gun on himself. Houser seemed to be sitting alone in Grand Theatre 16 during a screening of the romantic comedy Trainwreck when he fired a semi-automatic handgun. Lafayette Police Chief Jim Craft said, “He bought a ticket and went into the theater, and sometime during the movie he started shooting.” Mayci Breaux, 21, died at the scene, and Jillian Johnson, 33, died later at a nearby hospital. “He was a guy that was a drifter … that just happened to be in this theater and took two beautiful lives,” Col. Michael Edmonson of the Louisiana State Police said of Houser. “Don’t lose sight of the fact that these 2 individuals had a vision, had a name, had a future. It wasn’t to die as they did horribly in this theater here,” Edmonson continued, according to CNN. According to Craft, after the first few gunshots, two officers already on the property rushed into the theater. When more police arrived to the scene, “the suspect was found deceased from a self-inflicted gunshot wound,” Craft determined at a Friday morning press conference. Providing more details, Craft says it was clear that Houser intended to escape after the shooting, but when he saw police outside; he went back into the theater and killed himself. During an early morning search Friday, police discovered that Houser was staying at a local Motel 6, where he kept several disguises including wigs and glasses. He also apparently had a switched license tag. Still, a reason for this evil act has not yet been determined. Ironically, Monday, July 20, 2015 was the third anniversary of the devastating shooting in a Colorado movie theater where James Holmes killed 12 people. This similar Louisiana shooting has occurred as jurors contemplate the ultimate consequence for Holmes. Social media flooded with “thoughts and prayers” from local citizens, the Lafayette Parish Sheriff Office, Governor Bobby Jindal and even comedian Amy Schumer, who wrote and starred in Trainwreck. demanding stricter gun laws; which led to debates about gun rights. Mourners showered the Grand Theater Facebook page with support, while others criticized the theaters “gun free zone” policy, claiming if people had been allowed to have guns, the shooting could have been prevented.